Freedom of Speech "A National Treasure"
BBC Interview with Matthew Feldman on "Holocaust Denial"
LaRouche Group - A threat to society? Holocaust Deniers & Debunkers -What are they good for? Vienna - Can a city come to terms with its past? 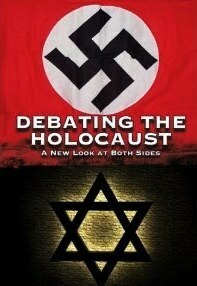 insensibility of arguing with Holocaust deniers. In May 2009 I concluded in my H.E.A.R.T editorial stating there is little value to be found in Holocaust Denial, and even less value in debating or debunking denial. That was a little over two years ago... so where are we now? Casually glancing through any number of revisionist websites and forums, one can find an abundance of neo-David Irving acolytes and pseudo scholars, who dedicate their time to refuting the Holocaust narrative. This isn’t a new phenomenon; it’s been going on for well over three decades, however what we are seeing more recently are these new smatterings of self styled denial-debunker forums popping up on the Internet. These controversial sites on the surface appear designed to dispute revisionist ideas and philosophy, yet in practice emulate a pugilistic event that is more akin to naked mud-wrestling than to any scholarly debate. Even more disturbing is the striking similarity between actual denial sites and these new debunking forums and blogs. After painting Holocaust deniers as modern day Nazi’s, the debunkers offer little in their behaviour that lends any contrast or credibility to their own moral standing versus that of the deniers, and it is often quite difficult to tell the difference, between the two. At least one of these controversial debunker blogs maintains extremely low, if any professional standards at all, and in most cases the discussions are quite juvenile and often quite hostile in nature. When you visit these sites you will notice the arguments are repetitive; those who deny the Holocaust are still demanding irrefutable proof, where even the slightest error, fragment of detail, date, time, location, spelling etc. is incorrect, is then pounced upon as the evidentiary “Holy Grail” that the Holocaust is a hoax perpetrated by a global Jewish conspiracy. 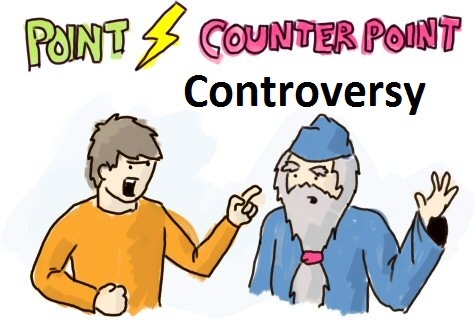 On the flip side you have the radical and often controversial revisionist debunkers who are obsessed with engaging in pointless debates, with no other purpose than to prove their own intellectual superiority, or at least what they deem to be a greater intellect than that of their opponent. Some of these debunker groups have gone to great lengths to trash the works and reputation of not only revisionists, but Holocaust memorial scholars as well. Clearly it’s not the desire for a correct historical record that motivates the debunkers, any more than it is for their denier counterparts. Both groups have a belief structure or agenda that supersedes the factual narrative, for them it’s something far more duplicitous and corrupt, than simply setting the record straight. Case in point: As early on as 2004 when I lead the Action Reinhard Camps Foundation, an applicant for membership, who unbeknownst to me at the time was a member of one of these perfidious debunker groups, and was pressing ARC membership to include a forum on the http://www.deathcamps.org website. This forum he explained, would be constructed to debate with Holocaust deniers. After careful consideration this proposal was rejected, as pointless. The Holocaust happened and there is nothing to debate or dispute. ARC members felt that the best answer to combat Holocaust Denial was to memorialize the victims and teach people about the perpetrators and the events that lead to the mass murder of millions. I later went on to create the Holocaust Education and Archive Research Team with a broader focus than the events of Action Reinhard, but after all these years do I still feel the same way? 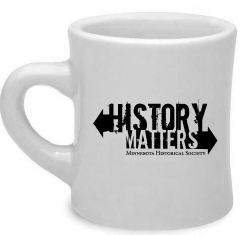 Internet based revisionist debunking in the manner these self-proclaimed champions of history enjoy carrying out, is not only pointless, its often conducted in a manner that most reasonable people would consider shameful. The arguments they make, their gratuitous application of Holocaust imagery, the countless atrocity photos, and endless links, do little to memorialize the victims or to counter the resurgence of xenophobia on any level.. In actuality they come off as nothing more than “shock jocks” (radio personalities who use language designed solely to shock the listening audience), focused more on the controversy, than the content. This behaviour is tasteless and insulting to the victims of the Nazi Genocide. There is nothing positive arising from these senseless debates. The debunkers often hide behind a false perception they hold the moral high ground, but the websites they run and frequently post at, tend to prove otherwise. These hateful blogs are almost always full of invective, vitriol, and obscenities, not to mention needless contention. Indeed a view could be formed that they are not simply fighting the good fight, but looking to pick a fight with someone, anyone, and the Holocaust affords them the opportunity to do so under a shroud of pretence and chicanery. But has either group been successful? Well it's now 2012 and it appears the accounts of both sides are still in the red, bankrupt with tired old ideas, constantly re-hashed, to keep the pot boiling. This one said that, he did, this, she did that, this person was in this camp, they were killed on this date, or the colour Jewish corpses in a state of livor mortis, how much wood to burn the dead, aerial reconnaissance, and ad hominem fallacies ad nausea! Wouldn’t it be better for those who passionately believe in the events of the Holocaust, to simply channel their efforts into more constructive pursuits, rather than argue their case, with people they often refer to as sub-human? Those kinds of terms used by the debunkers sound like the terms the Nazis used during the Third Reich, hardly the sort of image, an intelligent person would look for. If they cannot rise above this type of conduct, then perhaps they should pick another subject to cover. The Holocaust happened due to racial hatred and intolerance of others, maybe the deniers and debunkers will reflect that they are demonstrating these traits in their hollow pursuits. Has the Holocaust taught us nothing? As we approach another Holocaust Memorial Day, time to reflect upon the victims of Nazism, and to respect and honour their deaths, this is not achieved by showing numbers of photographs, enough to fill a gallery, of mass graves, and dead bodies. This is not debating, it is a gross insult, and unworthy of intelligent people.